Victorian Cast Iron Garden or Conservatory Chair. 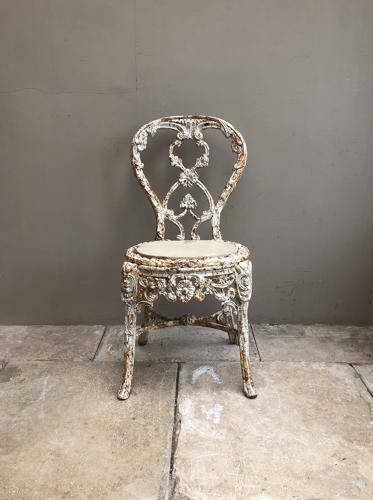 SUCH A PRETTY CHAIR....Victorian Cast Iron Garden or Conservatory Chair. Very very heavy. Pine seat...comfortable and has age old white flakey paint. Collection or Courier UK (Not Scotland) for £45.